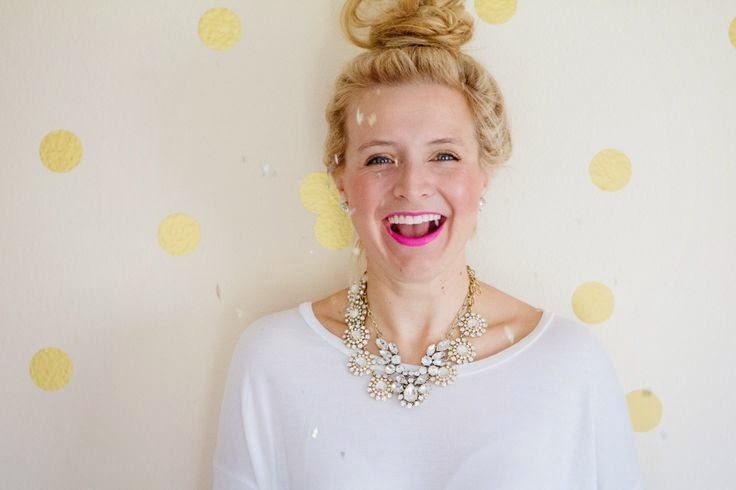 I absolutely ADORE Ashley of Fancy Ashley. She is darling, fun, festive, a smile to kill for and one of the all time fanciest people I know. She is always fun to follow on Instagram with her signature pink lips and top knot having the best time with her two precious children. I love her smile and her zest for life complete with glitter and fancy sunglasses! I am completely sure that if we shared a cul de sac we would have the most fun cocktail hours and impromptu get togethers!! And her quiet times ... I am so thankful for her reminder of how amazing my Jesus Calling devotional book was. I have now downloaded the app and have thoroughly enjoyed discovering this amazing daily devotional once again. 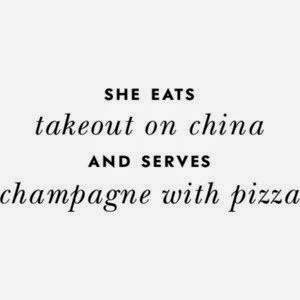 I swear they were written just for moi! One of my most favorite things about Ashley is her love of mason jars. 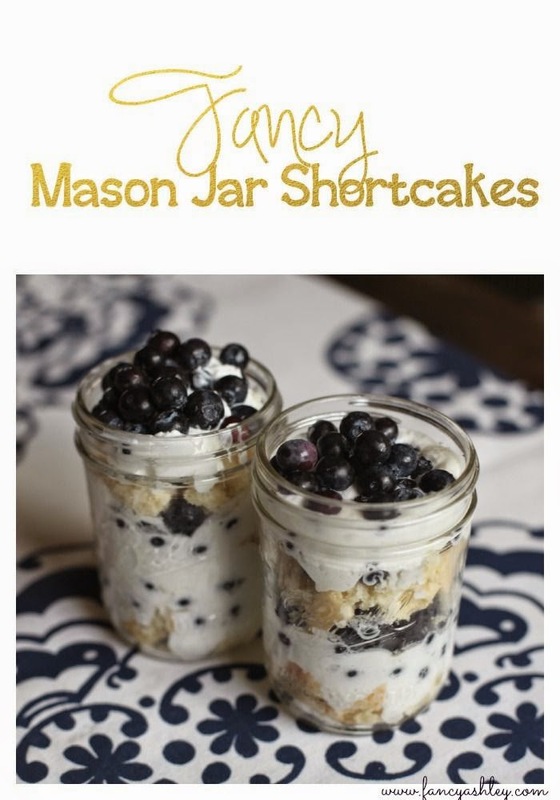 She has a number of go to recipes for both eats and drinks that she serves in pint size mason jars. And I live in Georgia ... where mason jars are on the wedding registry!! 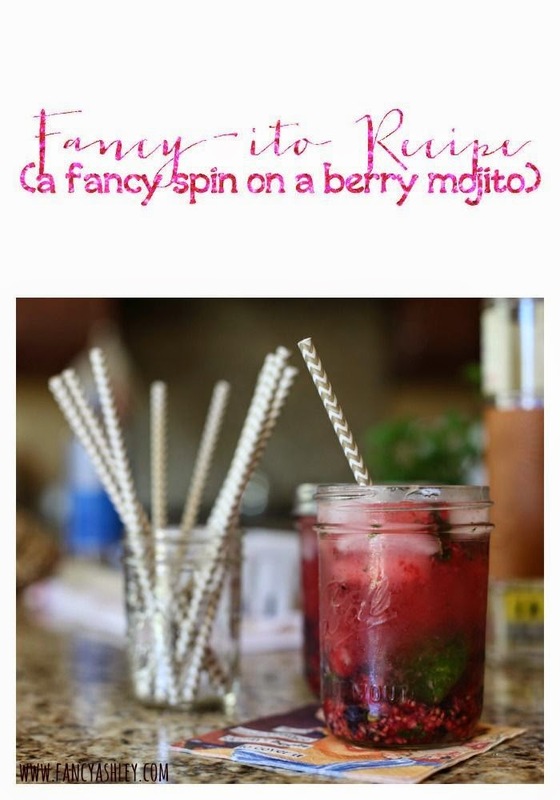 The fancy -ito ~ a fancy spin on a berry mojito! 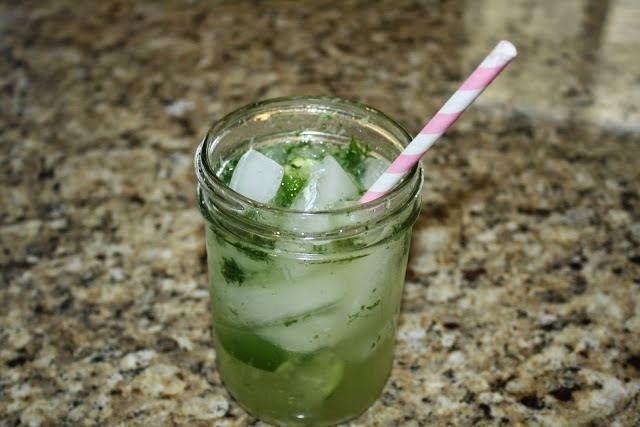 The Mojito! How can you go wrong with mint, sugar, limes and rum?? 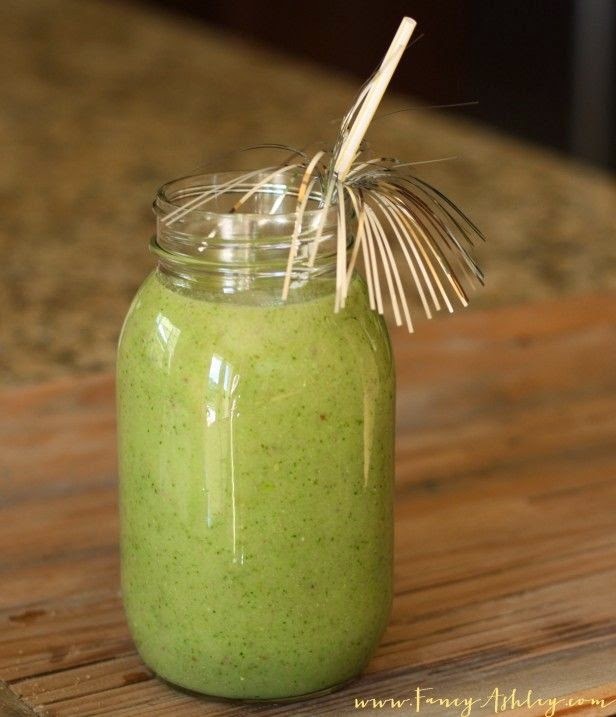 Green smoothie ... she's done all the work and we reap all the benefits! 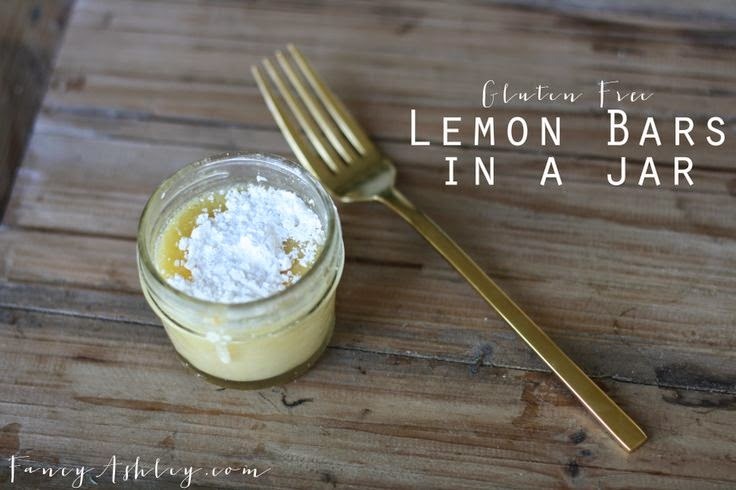 Lemon bars ~ and they are Gluten free!! 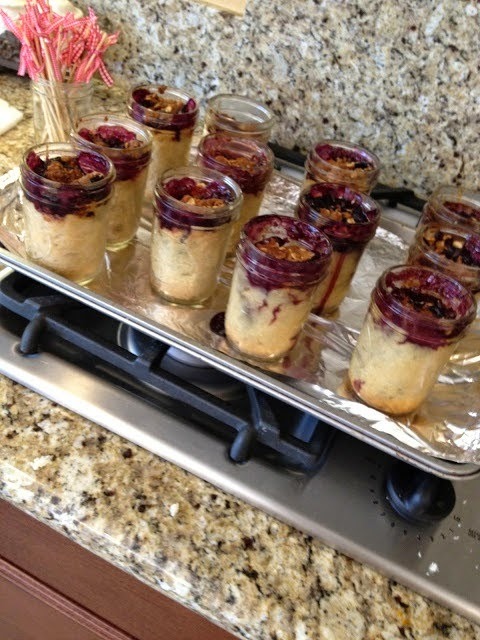 Pie in a jar ~ I love pie and I usually have mine in a bowl warmed with ice cream. This may be the best way of all time to have pie! Warm in a mason jar with vanilla ice cream ... OMG yum! Isn't she the cutest? I swear she makes the most amazing things and I can't wait to eat, drink and serve each one of them!! Thank you Ashley for treating us to your fancy blog! I'm doing a dessert smorgasbord at my son's birthday next month and I think a few of these treats would be a hit!